The club is pleased to announce the launch of our charity naked calendar will be this Friday (14th December) at Llandaff RFC Clubhouse! You will be able to purchase one on the night or alternatively use our order form below to get one delivered at no extra cost. All proceeds raised in the sale of this calendar will go to Hafal. Following our partnership last season with the National Centre for Mental Health, we wanted to continue our theme of “taking a shot at stigma” and challenging attitudes towards mental health. For anyone dealing with mental health issues, being open and honest about it is often the start of a healing process; however, it can be a daunting prospect so our members decided to overcome a similar challenge by doing something daunting and scary: taking off their clothes for a photoshoot! It took courage to disrobe and pose for photographs, but once the clothes came off the nerves disappeared! Once passed the first hurdle, our brave volunteers were left looking back and wondering what there was to worry about in the first place. By baring all for the calendar, the club hopes that it can inspire people to bare their inner emotions that would normally be covered up – rather than bearing them alone. Hafal delivers a range of services to people with serious mental health illness including direct support and advice, support in a crisis, contact with others by phone, advocacy, support in a group setting, introductions for befriending, and employment and training projects. Underpinning their services to clients, families and members is their Recovery Programme. This Programme is based on modern principles of self-management and empowerment. It encourages clients and families to work towards recovery with the help of Hafal’s staff and other supporters by taking a more methodical approach to improving all areas of life. Hafaledd means equality in Welsh and strikes a cord with the principle of mixed-gender competition in our sport. Not only is this calendar to raise money for a charity with a great cause, but it is also promoting body confidence. Anyone can play korfball regardless of your shape or size and no one is the same; we want to show that anybody can join our club and give korfball a go. 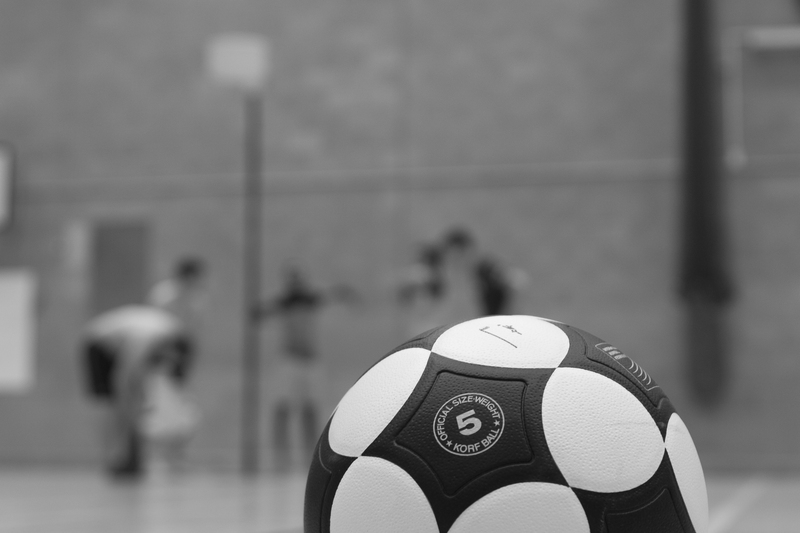 Korfball is growing all the time in Cardiff and around Wales so there’s never been a better time to try a new sport – it’s a fantastic way to meet new people, stay active and healthy, and exercise is a proven way to reduce stress and anxiety! Huge thanks must go to our photographer, Kerry Elsworth, who gave up her time for free to conduct our photoshoots in a professional and friendly manner. She was a delight to work with and helped us with post-production right the way through to completion of the calendar. We can’t recommend her enough and look forward to working with her again in future! The calendar costs £10 for 1 or £15 for 2! 100% of the profits go to helping Hafal continue the good work they do.